(CBS) It seems as if everyone in Hollywood is coming out to reveal who he'll be voting for come Nov. 6. Perhaps no surprise (given the entertainment industry's supposed liberal leanings), many tend to support President Obama, with a few notable exceptions. 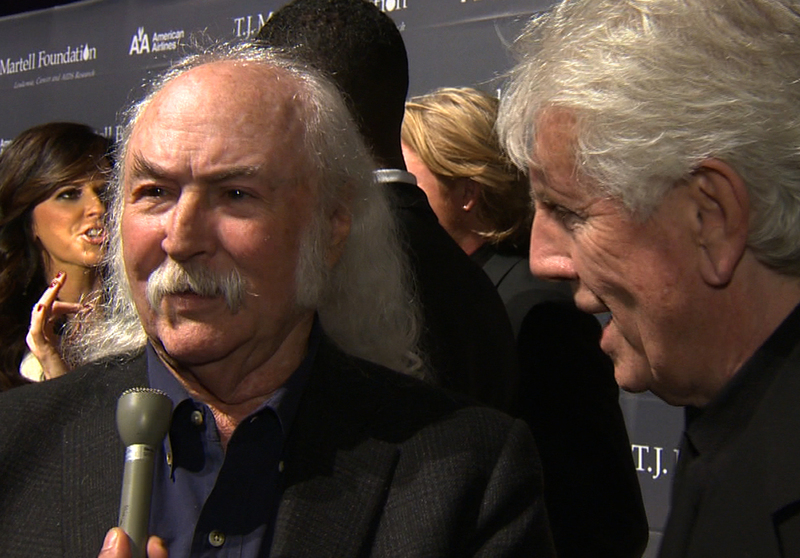 David Crosby and Graham Nash of the classic folk rock group Crosby, Stills, Nash (and sometimes Young) spoke to CBSNews.com at the TJ Martell Foundation benefit in New York about their thoughts on Campaign 2012 . The two veteran singer-songwriters, long famous as supporters of progressive causes, spoke openly about their dislike for this year's Republican nominee, Mitt Romney. "We cannot let Mitt Romney be president of the United States at all," Nash said on the red carpet. "[It would be] a disaster," Crosby chimed in. Find out why Crosby and Nash are so opposed to a Romney presidency by watching our interview with them at the top of this story.